Looking for 2019 MLK Day in Pittsburgh events? Check out this list on Very Local Pittsburgh. Earlier this week we were asked a question about where one can volunteer in Pittsburgh. @iheartpgh thoughts on places to volunteer in #Pittsburgh? We received a similar question last month and we are happy to connect Pittsburghers who want to volunteer with organizations that need help/. Martin Luther King Jr. Day offers a great place to start. Pittsburgh Cares is an organization that exists to be a matchmaker between people that want to volunteer and groups the need volunteers. Pittsburgh Cares is your go-to website to find ways you can volunteer on MLK Day and every other day of the year. Pittsburgh Cares is helping to honor the memory of Dr. Martin Luther King, Junior by organizing volunteer service projects on MLK Day, January 20, 2014. This year, our focus will be on intergenerational volunteering. Youth, teens, college students, adults, and seniors will be joining together in a day of service. 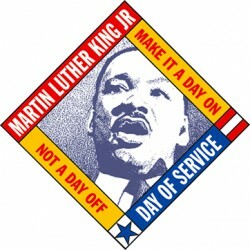 You can check out a complete list of all of the MLK Day opportunities on Pittsburgh Cares here. « Hey yinz guys! What the heck is a Redd Up Zone?